Need for Service Design up in the Air? Have you ever read the story about the funniest customer feedback in the world? It is the one directed to Sir Richard Branson, the founder of Virgin Group. It was sent by a passenger who flew from Mumbai to Heathrow with Virgin Airlines and who wasn’t too happy about the food catering or the inflight entertainment during the flight. Apparently Finnair doesn’t want this to happen to them, so they hired a creative technology company called Reaktor to improve their in-flight entertainment service. Reaktor describes itself as a constructer of well-functioning services. The reason they believe they were chosen was that they could deliver both the design and development from the same house. It had previously taken a huge amount of time to navigate through the entertainment system. For the new system the aim was to have less levels to navigate, show the content on the first page and of course for it to be faster. The main goal was to improve passenger satisfaction. It was interesting to hear about the development process, which was reputedly a new way of working for Finnair and Panasonic, the manufacturer of the hardware. The displays in the planes have a computer inside and it was impossible to take them out of the aircrafts as they were flying daily. It required people from Reaktor to travel to Panasonic office in California where they had the equipment needed for the development process. The team consisted of five smaller groups: Development, Coaching, Concept, UX (user experience)/UI (user interface) and Visuals. 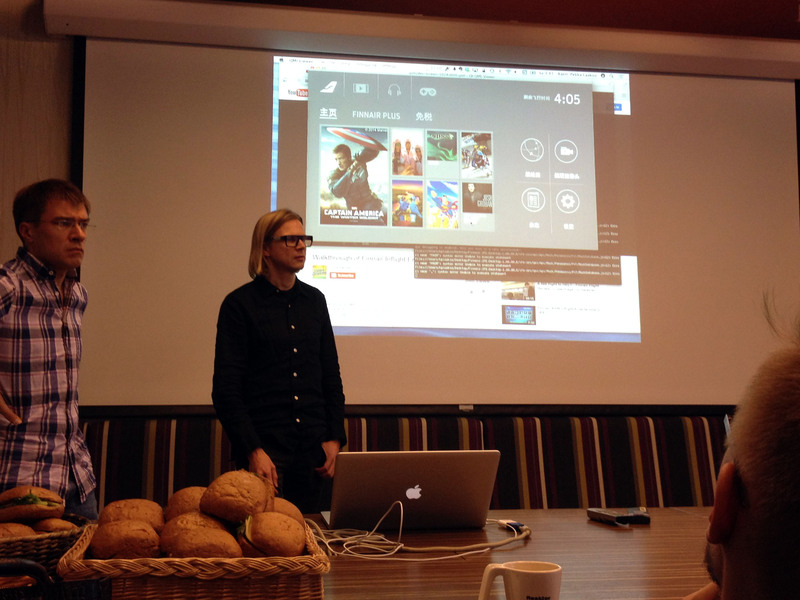 According to Reaktor the team worked seamlessly together during the process. The kick-off for the project was in June 2013 and the installation started in August 2014. They had possibility for only two plane visits, which was surprising to hear. So they decided to build a test lab where they then performed user research and tests. The process wasn’t linear, but instead went from designing, developing and testing back to beginning several times. 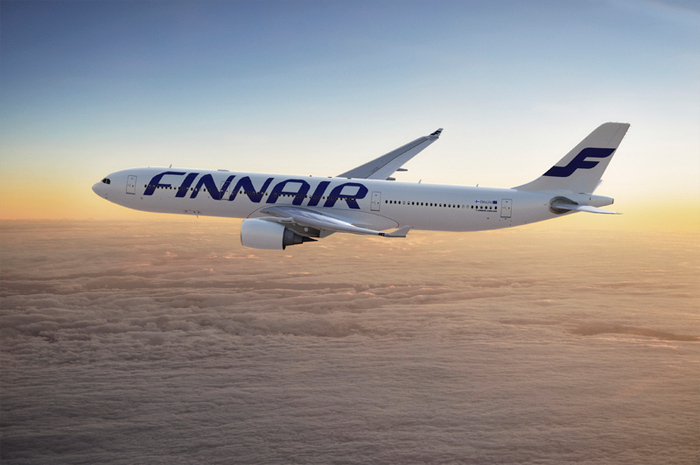 The new service is now being installed to all Finnair’s aircrafts which have flights lasting at least seven hours. It certainly helps fight that boredom on those long flights. According to Reaktor two or three Finnair planes have the new system now and after it is installed to the others, Finnair is going to make a customer survey. Presumably they’ll get better feedback than Virgin did. Why did Finnair feel the need for a new in-flight entertainment service? It is plausible that their previous customer surveys had shown that the customers really needed this. Moreover the low-cost airlines like Norw egian are offering high-level in-flight entertainment service during their flights including free WiFi on board. That is surely a big reason for Finnair to make improvements of their own. Reaktor told us that Finnair decided not to have analytics in the system at this point, but maybe that is something they want to add in the future. Along with some features that help to improve tax free sales. I guess that would be very convenient. They say that service innovation can only be successful when there is an actual need for the service. And in Finnair’s case I think there really was. The new system appears to be a great enhancement for the old.